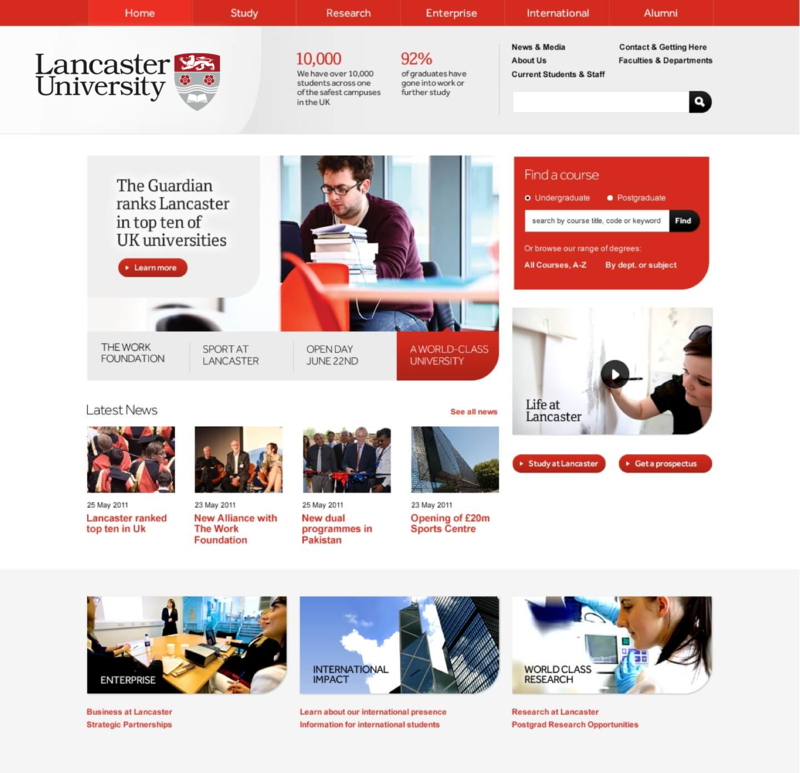 The design and build of the initial version of the Lancaster University website took six months from conception to launch. 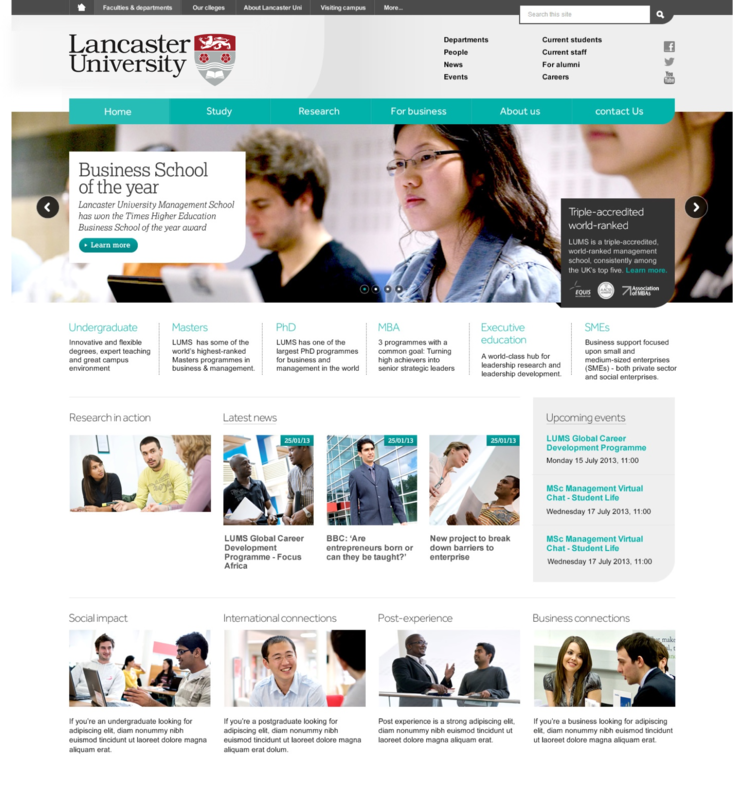 It is the first HEI ‘fully responsive’ website within the global top 100 universities. 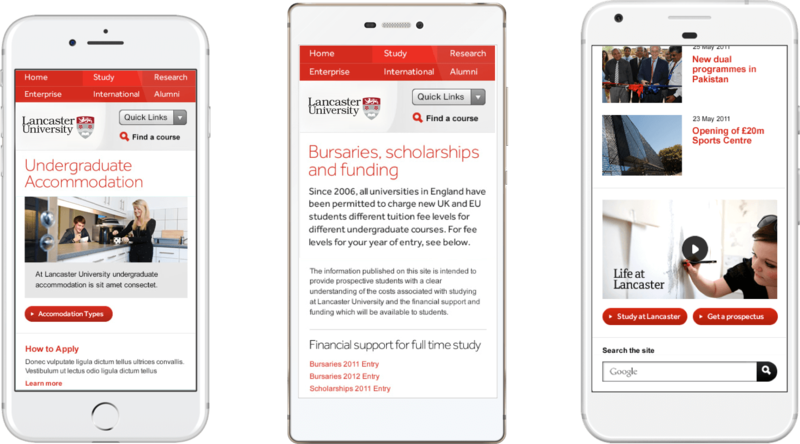 From scoping, content creation, design, implementation, content input, testing and QA to delivery, Roundhouse Digital managed and advised the University as a strategic partner. As with most large scale organisations, there were a number of groups who considered themselves key stakeholders and who needed input on the direction of the project and ownership of ‘their’ areas of the site. We implemented a campus wide system and process of consultation which started within the Marketing Department, with dedicated internal suppliers, internal customers, project managers and subject matter experts to produce content. 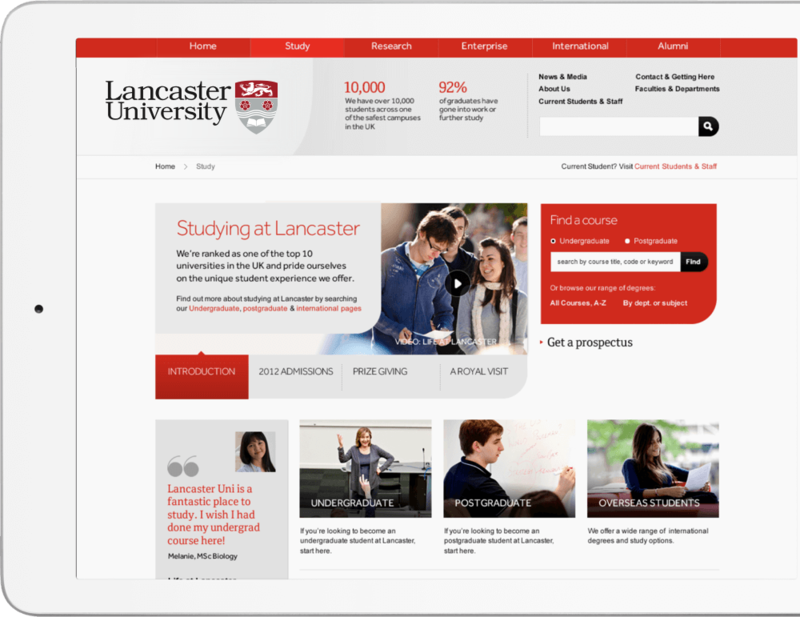 Following the launch of the core site we developed a flexible system (named the Website Development Platform – WDP) whereby the University could quickly roll-out large scale changes across similar sites without investing time, money or resource. The completion of these sites, with flexible templates that could be easily adapted meant that a similar design could be rolled out to 90% of the existing website pages with no significant development time.